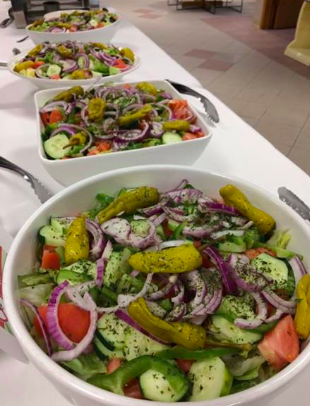 Looking for salads catering Boston? We know just what you want. You’re looking for more than just a few greens tossed onto a platter – you’re looking for something that’s crunchy, healthy, and colorful. That’s a salad that you’re eating not just because you have to – because you know those greens and other veggies are good for you – but because it’s so crispy and delicious, you can’t help yourself . Or as we call them, second-helping salads. What’s our secret? It’s really a twofold answer: we stick to the basics, and we pay attention to detail. When it comes to making our second-helping salads, we use the finest, freshest ingredients, without compromising on quality or flavor. Crisp lettuce and other brightly colored vegetables come from the market that morning. We source tofu, ethically raised meats and dairy, and many other fine ingredients from local artisan producers, while importing some specialized items like sheep’s milk feta cheese from France. From great ingredients, we choose a complementary blend of flavors, textures, and colors, so that every single bite of our salads satisfies on all counts. Our house made dressings and vinaigrettes are crafted from carefully sourced ingredients, including extra virgin olive oil, and blended so that the flavors perfectly complement each salad. 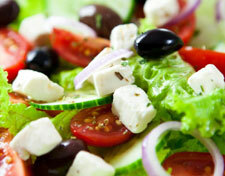 You can choose from a variety of salad platters. A classic salad with a base of crisp green romaine lettuce, topped with our own crunchy house made croutons, and shaved Parmesan cheese. 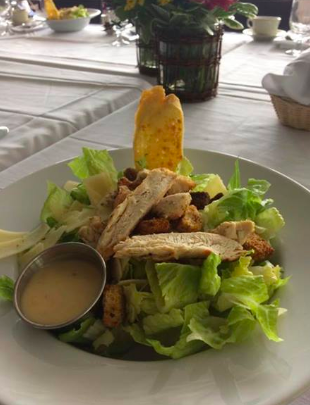 The salad comes served with the traditional creamy Caesar dressing. Perfect paired with meat, cheese, or sandwich platters. Optional – Add strips of marinated, grilled chicken for a full meal. This bright, beautiful, and tasty salad includes fresh mozzarella cheese, sweet cherry tomatoes, red onions, and fragrant fresh basil on a bed of mixed field greens. We recommend pairing this flavorful salad with the balsamic vinaigrette dressing. A popular favorite because of its blend of savory flavors, crunchy finish, and attractive presentation in green, red, black, and white. Made with mixed leaf lettuce, tomatoes, Kalamata olives, pepperoni, cucumbers, green peppers, feta cheese, and sweet red onions. Served with our delicious Greek dressing. A classic salad suitable for any first course, or as a side dish on a buffet table. This salad is made with crisp iceberg lettuce, tomatoes, carrots, cucumbers, red and green peppers, and red onions. Because of its subtle flavors and crunchy texture, you could pair it with virtually any dressing or vinaigrette. This salad is a meal unto itself, chock full of vitamin-rich crunchy vegetables, and a variety of sources of high quality protein. It’s made with crispy iceberg and softer romaine lettuce, tomatoes, cucumbers, hard boiled eggs, crumbled bacon, slices of fresh avocado, Gorgonzola cheese, and grilled chicken. A substantial salad that will blend well with a variety of dressings and vinaigrettes. This is why the Mediterranean diet is considered ideal – a healthy and flavorful blend of vegetables, protein, and traditional favorites from the sunny region. 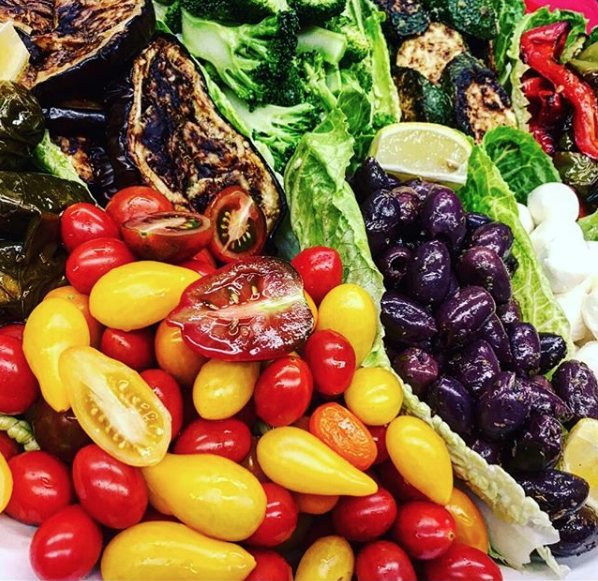 The platter includes roasted red peppers, fresh roasted eggplant, stuffed grape leaves, fresh mozzarella, Kalamata olives, and cherry tomatoes. Please the vegans in your crowd with this tasty platter made with a variety of seasoned fresh vegetables. Served with creamy ranch dressing. A fruity and delicious salad with an attractive presentation. Made with soft baby spinach leaves, strawberries, blueberries, pecans, and goat cheese. A delicious blend of flavors and textures that goes well with your choice of vinaigrette. Ensuring that the best corporate catering is present when having any type of informal, formal, internal or external event is very important for a company fulfill. Although it takes a lot of time and effort to plan, prepare and host a successful event on its own, taking the next step in achieving attendee satisifaction is incoporating the best corporate catering. 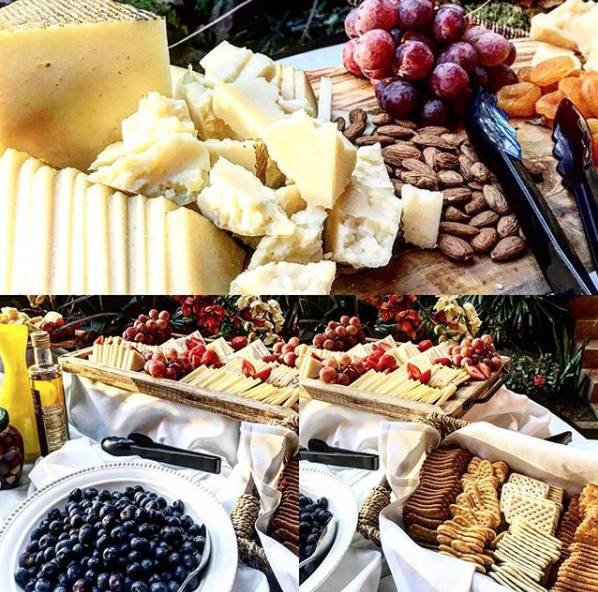 It may be a small team of people who put together such an event on behalf of the entire company, but having good corporate catering present and incorporated in any corporate event will ensure an excellent reputation for the company in the minds of the attendees, whether they may be employees or guests. Having good corporate catering at any company gathering shows that the company does care and appreicate the members of its teams, and it is an excellent strategy to ensure employee morale and productivity amongst the group too. Trying to find good corporate catering in Boston can be a struggle for any small or large business to obtain sometimes. There are so many aspects to consider and so many questions to ask yourself when finding and choosing a good corporate catering company in Boston, which can sometimes be overwhelming for anyone to think about. When planning, some might have been told very vague instructions, and it is very hard to decide which direction to take in terms of which corporate catering company in Boston to go with. Although there are many elements to be thought of when planning any corporate catering event, in order to ensure that it is a successful gathering, there are crucial factors that have to be considered, such as: how many attendees there are; where the location is; what type of catering is needed; what beverages are needed; what time the event is happening; and what the purpose of the event is. Once these details are all confirmed, then one may take the next steps in ensuring the best corporate catering in Boston is present at the next corporate event. Since ensuring that the best corporate catering is present at the next corporate event, it is only fitting to choose the best Boston corporate catering company. When trying to choose and find the best Boston corporate catering company, there are different aspects of the company that you should question finding out about and researching, such as the experience the company has, the products and services they provide at what prices, the flexibility to alter the menu, and their approach to appealing to different cultures and tastes. In addition, you need to see if the caterer can deliver with excellent profeiciency, and ensures high-quality and delicious meals, appealing presentations, punctual service, and the right choice of food on the menu for who is attending for what occasion. Professionalism is very important to ensure that good Boston corporate catering companies have, and other aspects such as the punctuality and flexibility the company offers is also important to ensure is brought to the table at the gathering. 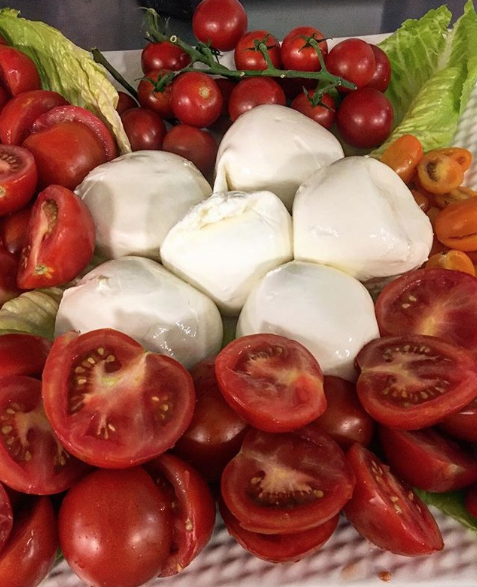 Whether you are hosting a large or small, formal or informal, internal or extral business event, for many businesses, trying to find the best office catering in Boston is truly a struggle. Most of the time the company’s cafeteria, kitchen, or basement coffee shop is just not an efficient enough way to “cafer” the event that shows the company’s appreciation for its employees. Whether there might be a corporate event such as grand openings, retirement parties, anniversary parties, team building or training sessions, or maybe even a new product launch celebration, each event deserves to be treated like a special occasion for all who are attending, whether they are employees or guetss. 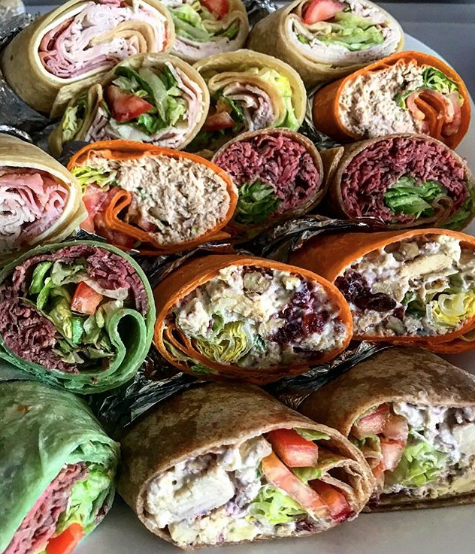 Make the most out of the next business gathering, and order the best office catering in Boston, and show your attendees that the company does care and wants to satisfy all of the members of its team, starting with providing good office catering. 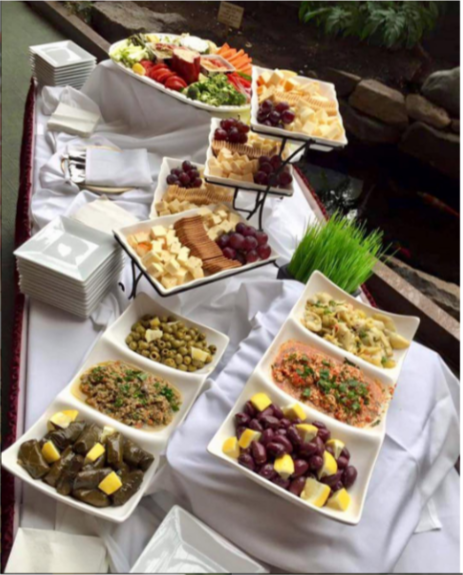 All attendees to a business event deserve to have the best catering service in Boston. 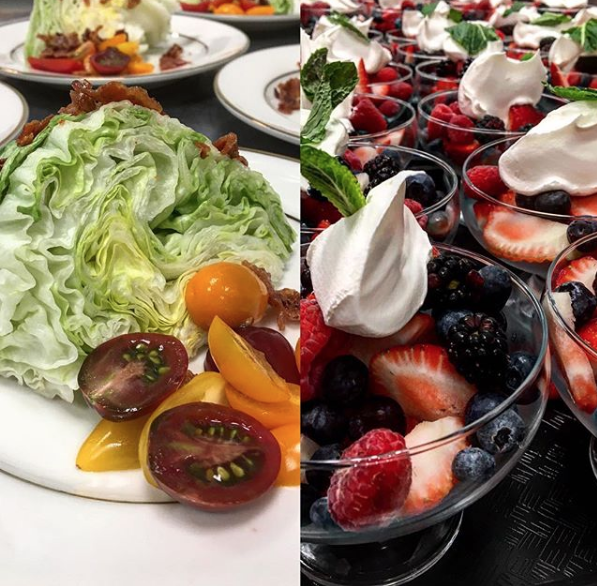 Boston catering services may be a struggle to finalize on, but the result is all worth the time and effort that went into planning and organizing that extra something special to add to the event. Attendees will feel more inclined to participate and actively listen to what is being discussed during the gathering, and they will feel welcomed once they see that there is high-quality and delicious food that meets their wants and needs when attending such an event, due to the fact that they will recognize time has been taken out on the company’s behalf to ensure that the guests are content during the event. Employee morale and productivity will be increased once the attendees see that because the best Boston catering service has been incorporated into their gathering, the company of which they are a part really does care and want all to feel comfortable and satisified when attending all events for the company. Although it is not always the easiest task finding the best Boston office catering company, it is a task that needs to be completed by every company when hosting a corproate event. Whether the event is a small retirement party, a formal product launch celebration, or an informal training session, every event deserves to be treated like a party with delicious food and beverages, as well as with excellent service. When trying to find good Boston office catering companies, you need to research and analyze the benefits each company will offer you at the gathering. Such benefits include: professional service; professional presentation; flexibility of what items are served for who the crowd is, for what occasion and for what time of day; office catering experience for any type of event for any size of group; and a large selection of options on the menu to satisfy different dietary needs, tastes and perferences. For any corporate event, the best Boston office catering company should be present, and when the attendees see the best, they will feel as if they are part of the best company. The best corporate catering is important to be included at any corporate event hosted by any type of business, large or small. Ensuring that all attendees feel appreciated and welcomed by doing such a small yet significant task of having the best Boston corporate catering present at a business event really does leave such a good impression on the employees or guests, and really gives the company a great reputation for caring about the members of their team. Once the attendees recognize that not only has the money been dedicated to incorporate the best corporate catering, but the time and effort has also been put into action to ensure the best corporate catering is included at the event just for the attendees to be satisfied with, will make them feel appreciated and welcomed, and it will make them feel more inclined to attend the events and show active participation during the events as well. The corporate catering service in Boston can be difficult to find sometimes, and there is far too much time, effort and money that goes into having corporate catering to take such a large risk with a company you are unfamiliar with. 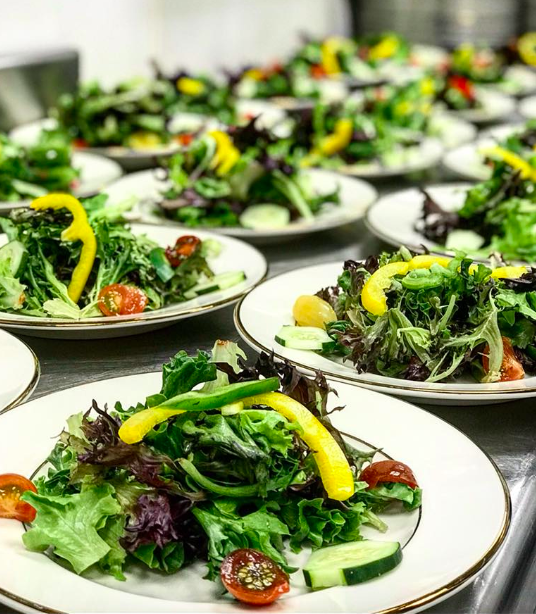 Ensuring that the best corporate catering service in Boston is included and present at corporate events makes the attendees feel as if they are worth all of those extra expenses and extra planning to ensure that they are comfortable and content during any business gathering. Whether the gathering is for members of the team, future members, or just visitors from other companies, once the attendees see that there has been time and money taken out on behalf of the company that has been dedicated in guaranteeing excellent service with delicious food, all of that extra hard work and planning would have absolutely been worth it. There are many factors that one should consider when searching for and choosing the best Boston corporate catering company. These factors may range from being of significance or insignificance to each company, but nonetheless are all important to consider. Such factors include: seeing if there is a set menu or if the caterer is flexible; finding out who is representing the company and will be handling the event; seeing how fresh the food is and how it is prepared; finding out what the pricing is and what is included; asking if you may sample the food; and asking if the caterer has professional experience in corporate catering. In order to receive the best products and services from the best Boston corporate catering company, the proper research has to be done in order to discover who exactly that company is, and what they offer to the table. 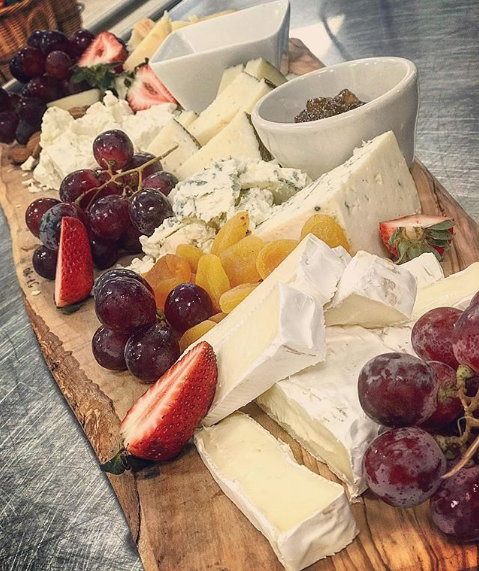 For cheese lovers we create some platers with irresistible items. Ask us what we can do for your next event. Some of our new menu creation. When it comes to the big holidays like Thanksgiving and Christmas, a holiday pie is a must-have addition to the celebration. 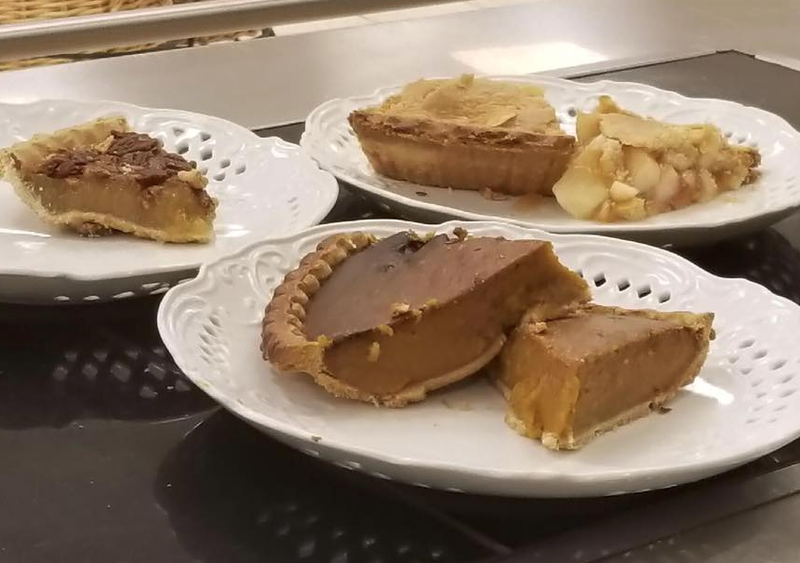 After the appetizers and the big turkey or ham, stuffing, mashed potatoes, gravy and more, a tasty fruit pie is a welcome finale to the big meal. A well made pie is flaky and flavorful, and the fruity finish makes a nice contrast to the rich flavors of a meaty holiday feast. A pie works with whatever kind of entertaining you have in mind. It can be easily served at a sit down dinner. A holiday pie also works well as a buffet item or as part of the sweet table at a serve-yourself party. If you are invited to a big meal at someone else’s home, a holiday pie is sure to be a welcome gift you can bring along. 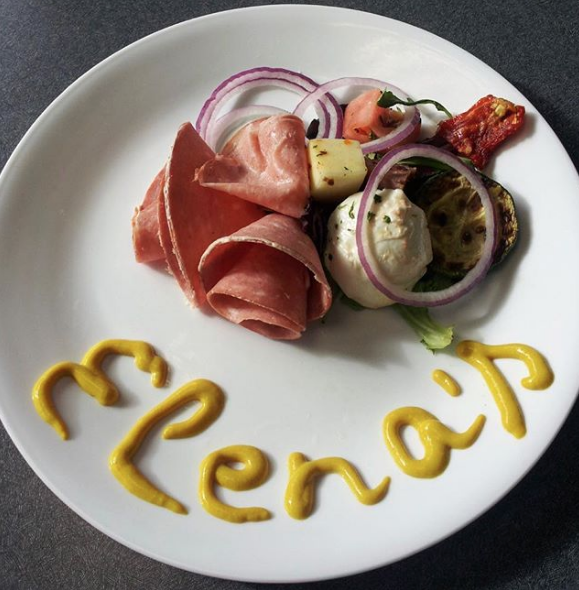 You’ve got a lot on your plate over the holidays- literally! When you consider the logistics, your oven will be occupied all day long with roasting turkeys, hams, and side dishes. Do you have time to knead and roll out the pastry dough? And then, to bake the pie while all the chaos is going on? 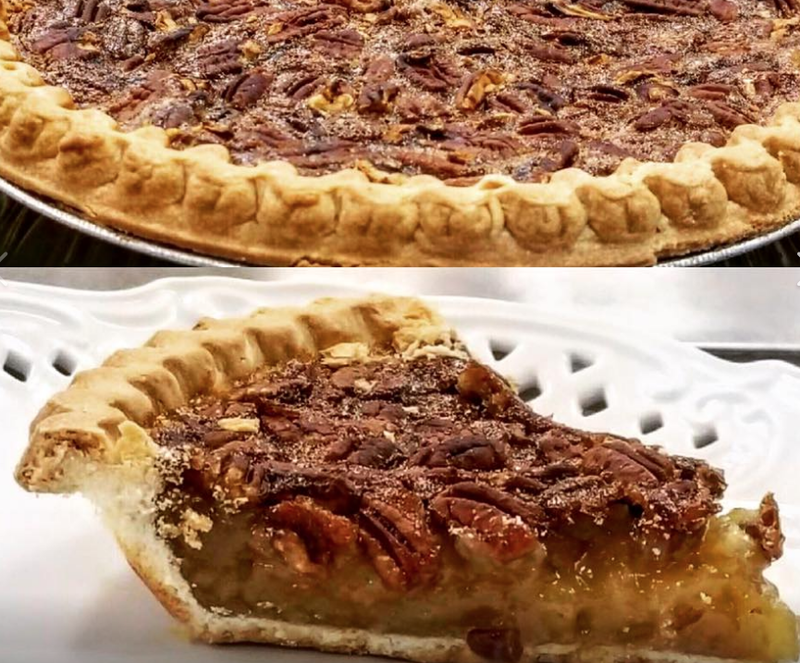 Let’s also face facts – baking the perfect pie is no mean feat. You may be a turkey superstar, but are pies are your weakness? 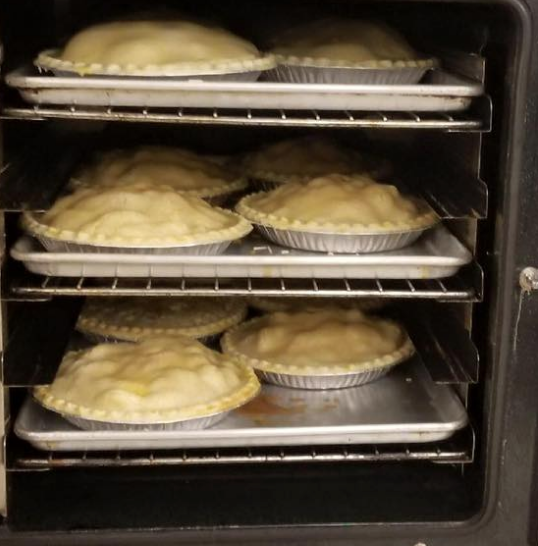 You can save yourself the trouble by ordering and buying your holiday apple pie right here in Boston. A fresh made pie with a light, flaky crust and savory, fruity filling – what could be a better finish for your Thanksgiving or Christmas extravaganza? 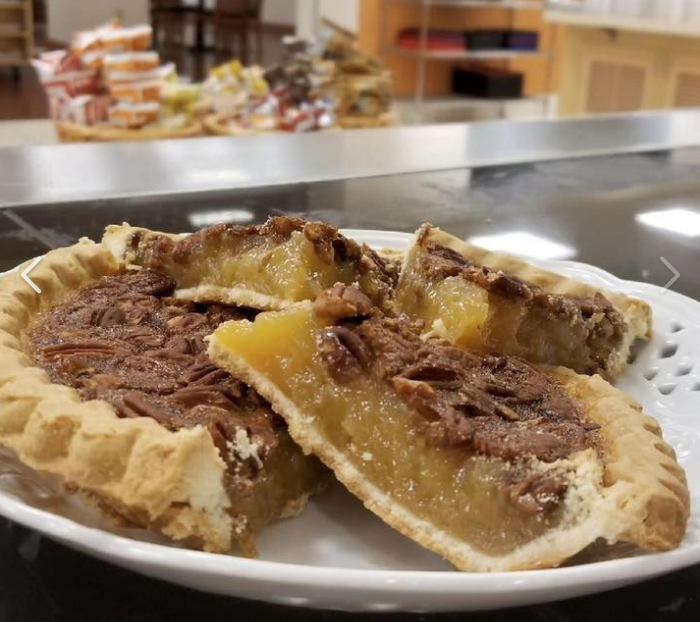 There are a number of caterers, bakers, and even hotels where you can order your holiday apple pie. Let our experience make your choice easy. Ordering online is easy and secure using our system. If you’d like to talk about your holiday celebrations, we offer private special event and corporate catering, available seven days a week. Along with food, we can provide everything you need for the perfect event from uniformed staff to linens, china, and silverware. You can choose to visit one of our Boston area locations, or call to speak to an experienced catering consultant and let us help you plan the ultimate holiday celebration.